Let me preface this by saying no matter which way you lean, you can still read this post. I say this because if you have even an inkling of objectivity—no matter your politics—you have to admit Michelle Obama is one classy lady. And this post is about her. This post is not about politics (to prove my sincerity, I also admire Barbara and Laura Bush). Now that we’ve got that out of the way, let’s talk Michelle Obama and her recent open letter. 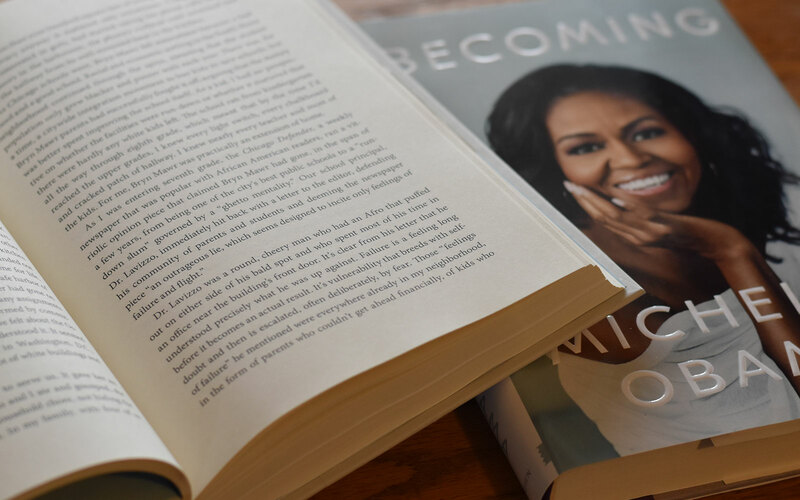 In preparation for the release of her memoir, Becoming, the former first lady recently addressed an open letter to the readers of the Chicago Defender, a newspaper heralded as the “national voice for black Americans.” Of course, I admire that she hasn’t forgotten her roots in Chicago’s South Side. And I love that she credits who she is today to her parents, the teachers who taught her, and the neighbors who looked out for her. But what I find most compelling is her message of hope and cooperative spirit in the face of fear and negativity. She encourages hope not just for a select group of people, but for the whole community—a community working together for the good of all. Michelle Obama’s open letter is truly inspiring. When we stand up together, we can push aside fear. When we work together for everyone’s benefit, amazing things can happen. Next Tuesday, November 27, is Giving Tuesday. It’s also the day I open my mailbox for pro-bono applications. Each year Adunate accepts two pro bono projects for greatly reduced or no cost. These are projects I strongly support and believe will positively impact God’s creation, his people, or his ministry. If your organization needs creative support in the coming year, click here for an application. Then, to guarantee your project’s success, be sure to click here! My deadline for submissions is December 31, 2018. I will let applicants know of my decision in January.